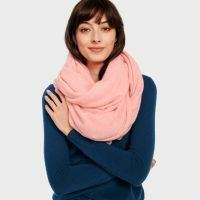 Amicale Cashmere is a third generation family business specializing in cashmere scarves, throws, hats, gloves, sweaters, and other accessories, found in leading department stores such as Neiman Marcus, Saks Fifth Avenue, Nordstrom, and Bloomingdales – just to name a few. Our highly skilled artisans have been the key to achieving the highest quality cashmere since our founding in 1942, including spinning the yarns that are knitted or woven, product design, manufacturing, and distribution to the world’s leading fashion and lifestyle brands. You can shop for Amicale Cashmere online at these sites.